Utilizing the digital services that we have to offer is going to put your practice at the forefront of the Orthodontic or Dental Industry. Welcome to the 21st century! Digital Study Models and 3D Printed Resin Models are taking the industry by storm. There is no longer a need for messy alginate or fragile plaster models. We receive your intraoral scan file and can quickly and accurately make either a Digital Study Model to aid in treatment planning or we can print out a set of Resin Study Models for handheld diagnostic use. 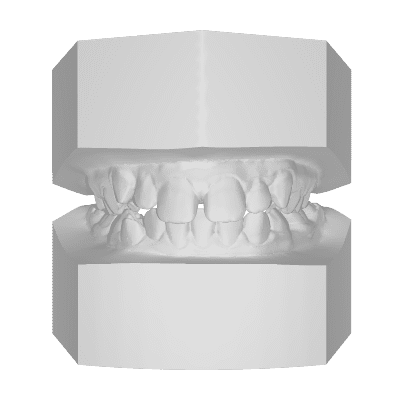 Of course you can always send us a plaster model or impression and we can convert it to a digital study model or printed resin model as well. 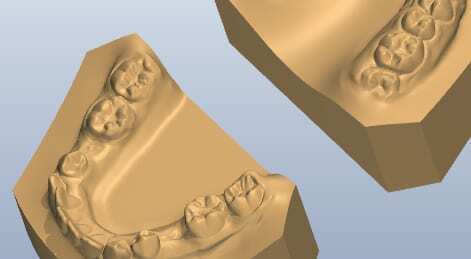 From a dental impression or plaster model, we can create a Digital Study Model. Our free viewing software is very user-friendly and allows you to rotate and analyze models as needed. 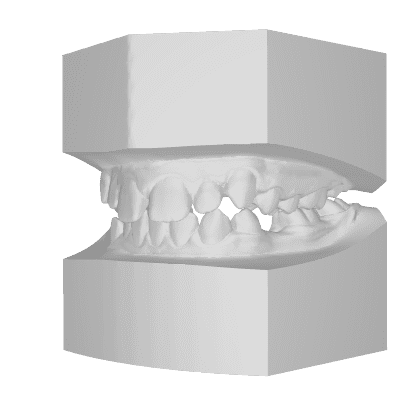 For offices that use intraoral scanners, we can print either Resin Study Models or Workable Resin Models from your STL scan files. Prints are created via our ultra precise 3D printer from approved resin Bio-Materials. It’s easy to get started. We’ll show you. We know you’ll love our work. 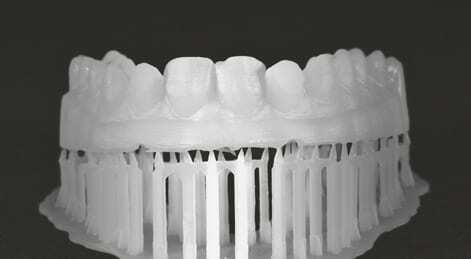 Send us an impression/scan for digital study models or a scan file for an appliance to be made from a 3D print. Your models are scanned at ultra high resolution ensuring precise replication. Digital Models get processed in about 48 hours from when we receive an impression, model, or scan. That’s fast! Receive your Digital Models all in one location without downloading. View Models on PC, Tablet, or Android. Our files don’t need anything extra- no conversions here. Your STL’s are ready for 3D printing. Digital Models are cheaper, saving you an average of 30% annually. They take up a smaller footprint too. Our study model viewer allows you to articulate, measure, and present your study model 360 degrees. Download the free viewer and get started with Digital Orthodontics. Our viewer gives you the ability to articulate, measure, and view models from any PC. From File Syncing, to cloud storage, OrthoTech offers your practice the solution that’s right for your practice. Our Digital Models work with all major Practice Management Systems and they’re Open Source. No more Alginate! The intra-oral scanner has revolutionized the Orthodontic and Dental Industry. Simply send us a STL scan file and we will print out an extremely accurate resin model. This technology allows doctors to clean-up, speed-up, and boost the logistics of the Orthodontic and Dental Procedure. We know you’ll love our work. Send us an intraoral scan and we’ll make a digital study model or print a 3D Resin Model for you.